For over a decade, Great Lakes Dental Care has offered Grand Rapids and West Michigan patients the most advanced options in preventative, cosmetic, restorative and specialty dentistry. 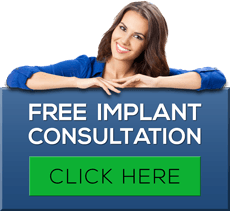 In addition to combining modern procedures and techniques with state-of-the-art technology, our professional and knowledgeable team will always communicate openly and honestly with you about all your available options—to ensure that your visit is less stressful and pain-free. Great Lakes Dental Care continues to be proactive when it comes to embracing and taking advantage of our industry’s newest advances and cutting-edge technology. Our professional family dental office was the first in West Michigan to introduce non-surgical periodontal therapy, using the Deka Laser. In addition to using high-quality equipment in all of our procedures, our friendly and caring team will always make your overall health and well being a top priority, which is why we only use x-rays when absolutely necessary to minimize your radiation exposure. As complete health dentists, our comprehensive dental office offers a full range of traditional and specialty dental procedures and can take care of most issues right in our office — eliminating the time, cost and hassle of referring you to another dentist. Our Grand Rapids family dental office prides itself on staying ahead of the curve when it comes to your teeth, gums and the overall health of your mouth. At Great Lakes Dental Care, we are committed to providing our patients with high-quality care in an open, caring and nurturing environment. For over a decade, we have continued to dedicate ourselves to serving West Michigan by helping patients maintain a natural, healthy and attractive smile that lasts a lifetime. Click on these links to learn more about our professional, knowledgeable and well-trained dentists and our friendly, caring and nurturing team.